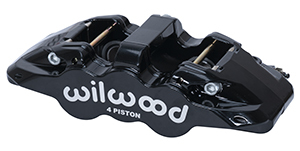 The new Aero4-DS forged six piston caliper delivers heavy duty stopping power for the road or track. 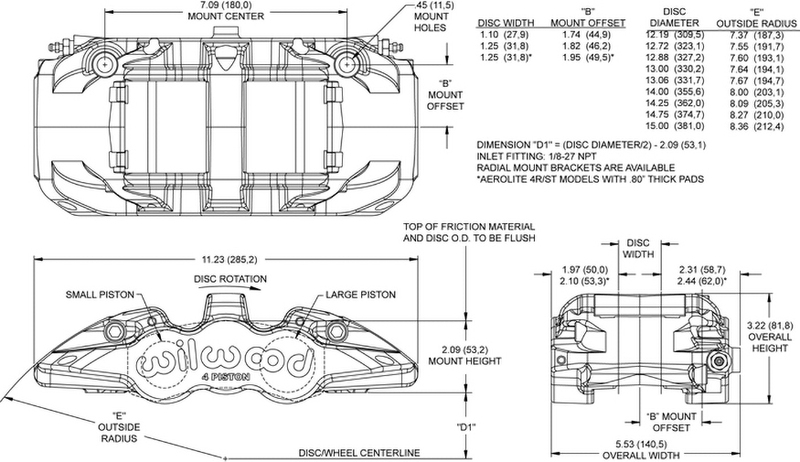 The caliper incorporates race technology into a body design with widespread adaptability. Radial mounting, multiple options for piston volume, and a rotor diameter ranging from 12.88" to 15.00" give this caliper the versatility necessary to suit all types of heavy weight braking requirements. The new Aero6-DS is the latest innovation to the Aero series of calipers incorporating an exclusive dust wiper seal that further protects the piston bore from dust and corrosion, allowing the caliper to be used in locales that mandate a method of environmental sealing.